Personal use/License to Digital Content. The Site is being presented for your personal, non-commercial use. Subject to your compliance with all other terms we specify for the Programs or the Site, Thunder Studios, Inc. (“we” or “us”) grant you a non-exclusive non-transferable, non-sublicensable, limited right and license to access the Site for your personal, Non-Commercial, Private Use only. We reserve the right to refuse service, terminate accounts, or remove and edit the Content in our sole discretion. As used herein, “Non-Commercial, Private Use” means a presentation of the Content for which no fee or consideration of any kind is charged or received, which takes place in your private home or apartment or, if outside your private home or apartment (e.g., in a hotel room, dorm room, office, or airport waiting lounge is limited to a private viewing for you and your invitees. Non-Commercial, Private Use specifically excludes any public presentation (e.g., a presentation in a dorm lounge) and any presentation by a place of public accommodation or other commercial establishment (e.g., a bar or restaurant), even if no fee is charged for viewing the Content. Links. We may have provided links to outside web sites for your convenience. We do not review, and assume no responsibility to review, the content of the sites to which links are provided, and make no representation or warranty as to their content, accuracy or reliability. We are not a proprietor or an agent of any such linked web sites. We have not authorized any other party, including the proprietor(s) of any linked web sites, to act as our agents or bind us in any way. We are providing these links merely as a convenience, and the inclusion of any link does not in any way imply or express affiliation, endorsement or sponsorship by us of any linked site and/or any of its content therein. Disputes. You agree that any dispute regarding this agreement and any use of the Site must be brought in a court of competent jurisdiction in Los Angeles County, California, U.S.A., and by using and accessing the Site you hereby consent to venue and jurisdiction in the State of California for any disputes arising from your use of the Site. Dispute Resolution. If you are located in the United States, the following applies to you. PLEASE READ THIS CAREFULLY. IT AFFECTS YOUR RIGHTS. Except for either party’s claims of infringement or misappropriation of the other party’s patent, copyright, trademark, or trade secret, any and all disputes between you and us arising under or related in any way to this Agreement, must be resolved through binding arbitration as described in this section. This agreement to arbitrate is intended to be interpreted broadly. It includes, but is not limited to, all claims and disputes relating to your use of the Site or service. 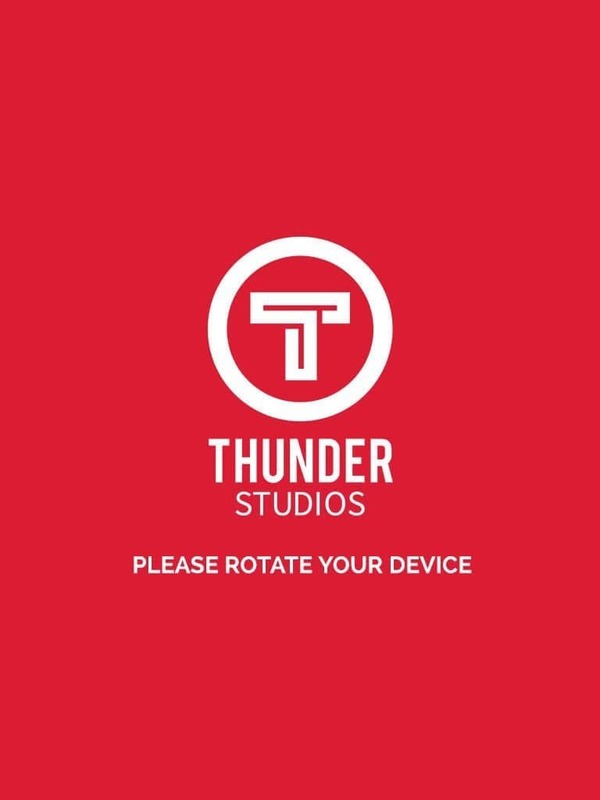 YOU AGREE THAT BY ENTERING INTO THIS AGREEMENT, YOU AND THUNDER STUDIOS, INC. ARE EACH WAIVING THE RIGHT TO TRIAL BY JURY OR TO PARTICIPATE IN A CLASS ACTION. YOU AND THUNDER STUDIOS, INC. AGREE THAT EACH MAY BRING CLAIMS AGAINST THE OTHER ONLY IN YOUR OR ITS INDIVIDUAL CAPACITY, AND NOT AS A PLAINTIFF OR CLASS MEMBER IN ANY PURPORTED CLASS OR REPRESENTATIVE PROCEEDING. ANY ARBITRATION WILL TAKE PLACE ON AN INDIVIDUAL BASIS; CLASS ARBITRATIONS AND CLASS ACTIONS ARE NOT PERMITTED. The arbitration will be governed by the Commercial Arbitration Rules and the Supplementary Procedures for Consumer Related Disputes of the American Arbitration Association (“AAA”), as modified by this section. For any claim where the total amount of the award sought is $10,000 or less, the AAA, you and THUNDER STUDIOS, INC. must abide by the following rules: (a) the arbitration shall be conducted solely based on written submissions; and (b) the arbitration shall not involve any personal appearance by the parties or witnesses unless otherwise mutually agreed by the parties. If the claim exceeds $10,000, the right to a hearing will be determined by the AAA rules, and the hearing (if any) must take place in Los Angeles, CA. The arbitrator’s ruling is binding and may be entered as a judgment in any court of competent jurisdiction. In the event this agreement to arbitrate is held unenforceable by a court, then the disputes that would otherwise have been arbitrated shall be exclusively brought in the state or federal courts located in Los Angeles County, California. Claims of infringement or misappropriation of the other party’s patent, copyright, trademark, or trade secret shall be exclusively brought in the state and federal courts located in San Francisco County, California. This Agreement shall be governed by and construed solely and exclusively in accordance with the laws of the State of California, USA without giving effect to any law that would result in the application of the law of another jurisdiction. If you are located elsewhere in the world, this Agreement is governed by, and must be construed in accordance with, the laws of the California in the United States, and the parties irrevocably submit to the exclusive jurisdiction of the courts of California, United States and their Courts of Appeal. 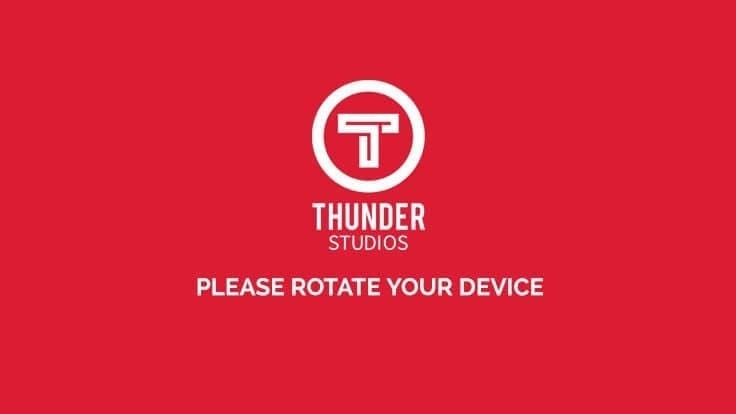 Thunder Studios, Inc. (“we” or “us”) holds the exclusive copyright, or has permission to use the contents of, and all material available on, this Web site (the “Site”), and all such contents and materials are our exclusive property, unless otherwise explicitly indicated. ¥	A statement by you, made under penalty of perjury, that the above information in your notice is accurate and that you are the copyright owner or authorized to act on the copyright owner’s behalf.